The following story was contributed by a volunteer with Global Peace Foundation's Communities United for Pure water (CUP) in Malaysia. These kids were as curious about me as I was about them. They showed me around and weren’t camera shy. Kampung Padang in rural Muadzam Shah is hidden from sight by tens of kilometres of jungle and plantation land on all sides. There are about 130 orang asli (indigenous people) of the Jakun tribe living here. This translates roughly to about 24 families living in 19 houses. Most of their homes are made of wood and corrugated metal. Some have fallen into disrepair and are haphazardly patched up with plywood and plastic sheets. The design is rudimentary; inside one of these houses is an open space that is divided into a kitchen and living area that doubles as a bedroom at night. There isn’t much furniture and what belongings they have are piled against the wall or hung from the rafters. The pitter patter of small feet leads me to a group of kids aged between four to six. 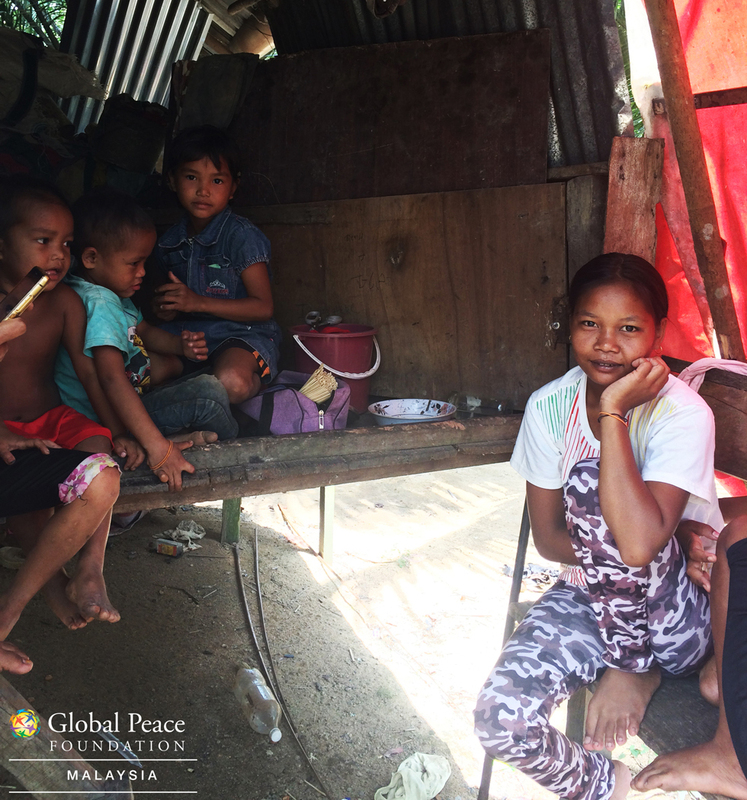 With nothing to do and no school to occupy them, these children play and wait for their parents to return all day. 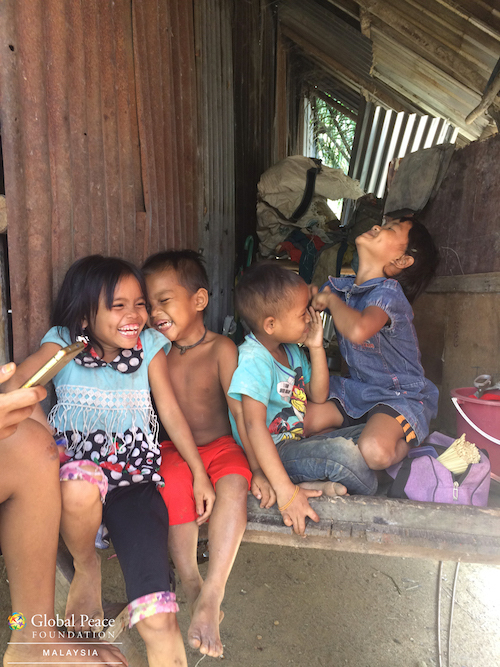 Most of the orang asli children here do not attend school and even if they do, they rarely complete their schooling, choosing instead to drop out and work. Such is the case for Nurasian, a 19-year-old who had stopped her schooling early and is now married. She spends her time in the company of her younger siblings or doing housework. 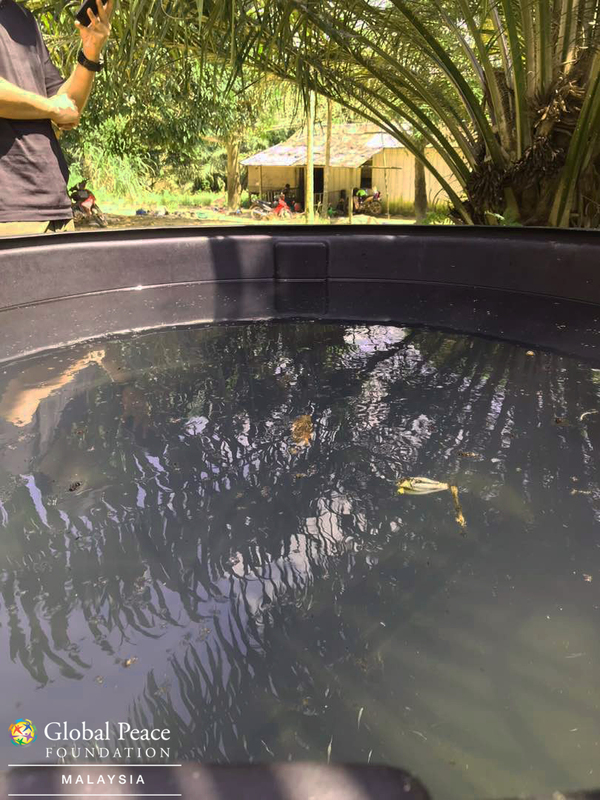 The tank slowly filling up with water from the well. It is Global Peace’s seventh visit to Kampung Padang. For the past few trips we have been trying to install a pump and piping system to help transport water from the well into a communal tank within the village itself. This time around, we came with a different pump model hoping that it would work. It took two days and countless tries but thanks to the help of our partner, Engineers Without Borders, we came up with a final setup that worked.